You'll find 65 public beach access points in Oak Island and miles of sandy beaches. This family-friendly beach community is a perfect destination for the water lover offering fishing, boating kayaking, and other water activities. The town also has a municipal golf course and eight parks, including a skate park, a dog park, and an observation deck park. The Oak Island Pier is famous for its superior saltwater fishing. The season starts in April with large bluefish followed by Spanish, trout, and flounder. King Mackerel, cobia, jack crevalle, sheepshead are just some of the many species you'll find here. The state record for North Carolina for tiger shark was in 1966 from this very pier. The pier also has shopping and The Flying Fish Cafe, where you can enjoy oceanside dining. 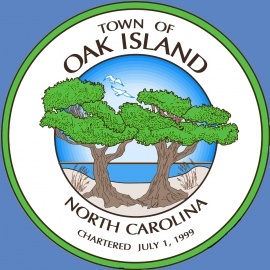 Oak Island is a beautiful seaside town and is a perfect spot to relax and unwind! As a HongKong technology company in HongKong, we will adjust its business scope according to the market. Although we don’t have a large number of people, we can win many talents in web design, graphic design, digital marketing, etc.